SPX Cooling Technologies, Inc., announces the new Marley NC Everest Cooling Tower, a pre-assembled, crossflow evaporative cooling system offering a viable alternative to field-erected towers. 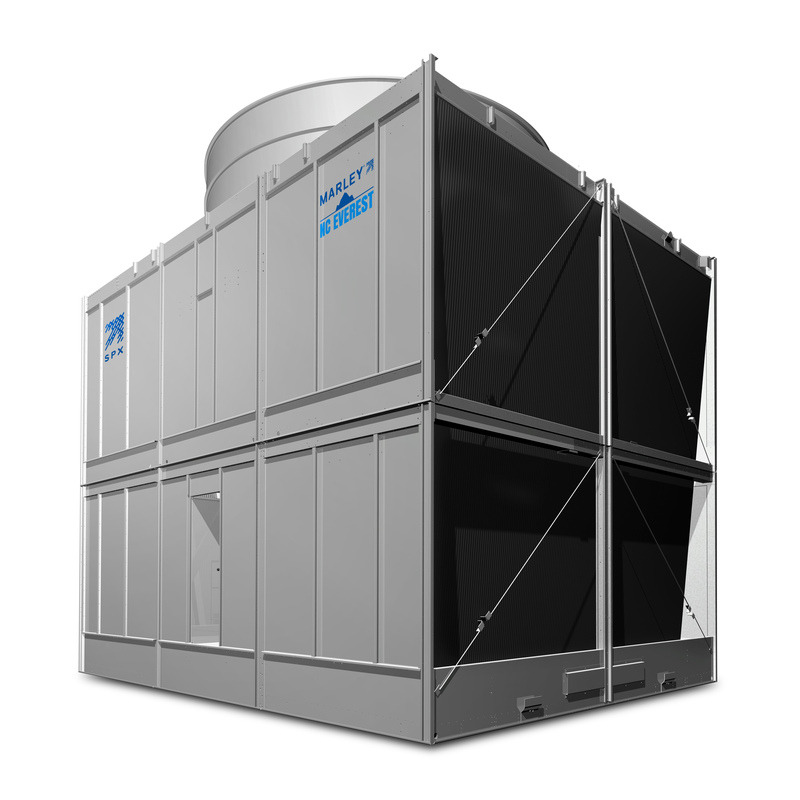 The NC Everest provides a high cooling capacity in a pre-assembled cooling tower and reduces pump energy up to 20%. The design and field assembly process reduces on-site labor and work duration for a safe work environment. NC Everest provides more site placement options and typically uses up to 10% less plan area than field-erected towers. Built with industrial-strength materials and engineered to withstand the rigors of power and heavy industrial applications, the NC Everest features a heavy gauge steel structure, Marley Geareducer, and robust mechanical components. The integral cold water basins eliminate costly concrete basin construction. Seven-foot doors provide access to the tower’s interior service decks and mechanical components, making routine inspections and maintenance safe and easy. Featuring the new, patent-pending MarKey Drift Eliminator, the NC Everest Cooling Tower achieves low measureable drift, down to 0.0005% of circulating water flow, so less water escapes the tower. The NC Everest is FM approved for use without a fire protection system.